Buying an aircraft in Canada is an exciting, rewarding and fun thing to do – but it does have challenges. We have a (lengthy) blog written by the site owner from 2007, which has been updated and a little edited for today’s potential buyer. 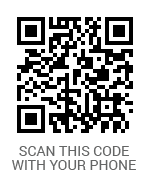 It needs a little time to read it all, but you can scan for the nuggets. For sure, if you’re looking for homebuilt information, check out our article HERE with links to some factory tours. We’ll be updating this page regularly – classified ads and aircraft for sale is one of the main operations of this site. We promote and recommend GA ownership for anyone who it would benefit. A New Owner’s Blog – Buying My First Plane.